Jacksonian march is another term used for jacksonian seizures. Jacksonian seizure is a specific type of epilepsy. 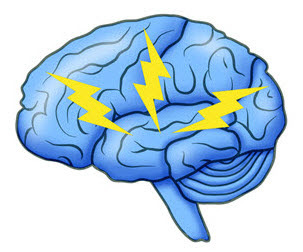 In this type, seizures occur due to movement or progression of seizures in a specific region of brain and leads to marching of nerves causing seizures. It is a brain disorder associated with small changes in body movements and abnormality in sensory actions and abnormality in electrical impulses conduction. Primary motor cortex is a part of brain from which abnormality in electrical impulses is initiated. This part of brain (primary motor cortex) have a special characteristic that these electrical impulses pass from this region quickly and effecting all corresponding muscles present in that region. Jacksonian seizures is a type of epilepsy, so its symptoms will correlate with symptoms of epilepsy. Main symptoms involve unintentional limb movement, head turning and some uncontrollable movements. Numbness and tingling are common. These seizures spread locally in a specific confined area. Patient sometimes become unconsious. Jacksonian seizures are a type of simple partial seizures where simple means patient do not go unconscious and can be in senses and partial means seizures occur in only one part of brain. So it means in jacksonian seizures, patient remain in senses and feel seizures in one side of brain only. There are two main symptoms which shows the presence of jacksonian seizures. One of them is occurrence of seizures in one part of brain only while patient is not unconscious and second one is its spreading “march action” i.e. it spreads in a specific pattern within minutes. For example if seizures initially occur in a finger, then it may spread to whole hand within minutes like a march. Other symptoms involve muscle cramping, numbness, hallucinations, head turning, migraine, crawling skin sensations, automatism, capsular warning syndrome and last but not least stroke. There are some defined causes behind jacksonian seizures and one of them is mutiple sclerosis. Age is another main cause and risk factor of jacksonian seizures. People above 65 years of age are at greater risk of jacksonian seizures. Other causes that may lead to jacksonian seizures include any kind of head injury or accident, lesion or injury at frontal lobe of brain like atriovenous malformation and reduced or lack of oxygen supply to cells of brain. Due to low b.p, oxygen supply is limited or reduced leading to various problems like epilepsy or seizures. Treatment option include surgery and medication therapy which is selected on the basis of leading cause and severity of seizures. If seizures are mild, then treatment is not necessary. surgery is preferred when an injury occur to brain specially frontal lobe. Other wise medication therapy is recommended for treating jacksonian seizures. Common anti seizure medications which are recommended include clobazam, zonisamide, topiramate, phenytoin, carbamazepine, divalproex sodium, valproate and vitamin B6 i.e. folate in the form of folic acid. If there is a tumor present in brain, then surgery is preferred to remove that tumor.